Global Lives Project is coming to San Francisco State University! « Global Lives is coming to the Media Arts Center @ Palo Alto High School! 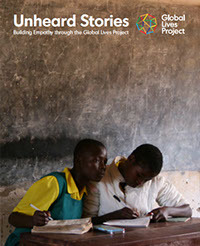 Global Lives Project is Proud to announce a new collaboration! We will be presenting 20 videos from 17 countries over the course of three weeks at the Cesar Chavez Student Center Art Gallery at San Francisco State University. Our films feature 24 hours of unedited footage of the day in the life of people from countries such as Brazil, Malawi, Colombia, Korea, Nepal, Indonesia, Spain and more! Be sure to join us for our exhibit’s opening reception on Thursday October 23 from 5-8PM. Come celebrate Global Lives, have some delicious food, raise a glass and hear Executive Director, David Evan Harris, speak about the making of Global Lives! Find out more on Global Lives Facebook Page.